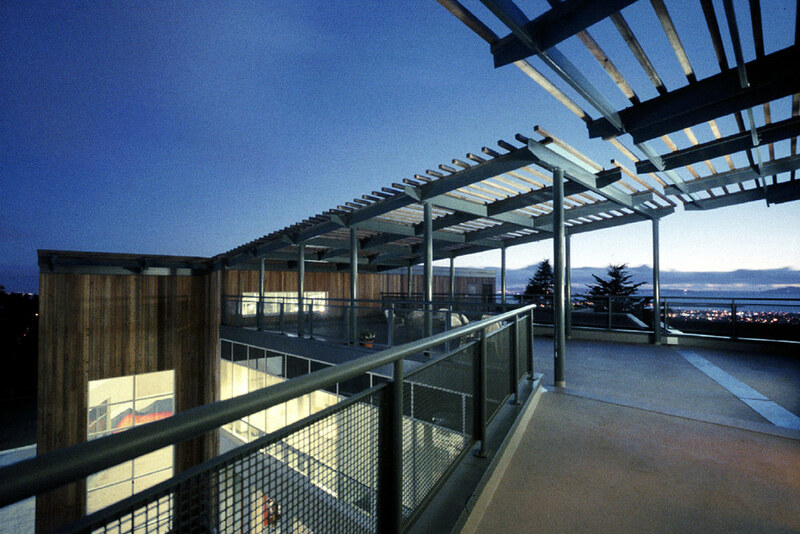 Cragmont Elementary School is located on a steep hillside in the North Berkeley hills. 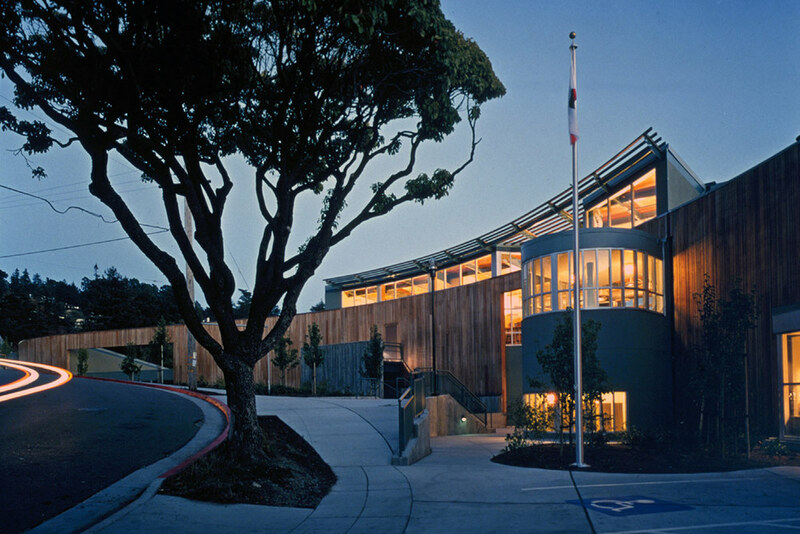 Consisting of classrooms, multi-purpose rooms, a library, and offices for the Berkeley Unified School District, the building curves along the north-side road to preserve bay views from nearby homes and to accommodate a large level playing field to the south. Articulated forms and sloped roofs divide the building mass into smaller volumes compatible with residential neighbors. 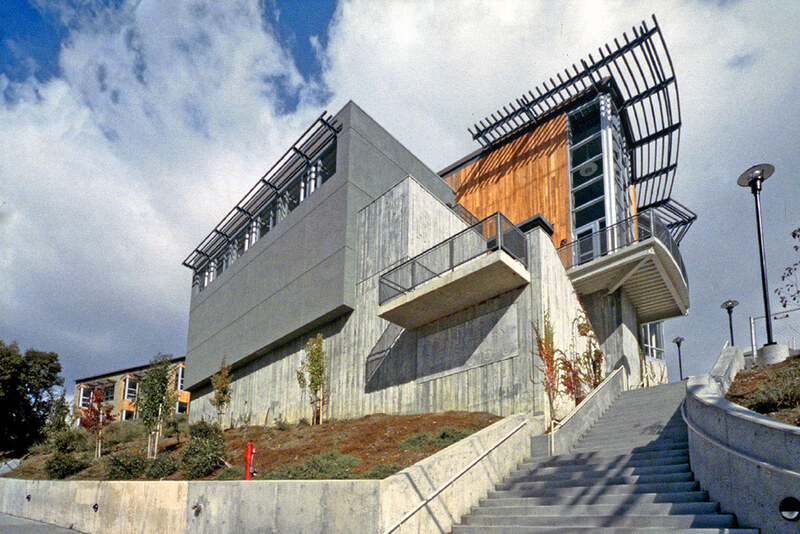 Cedar siding, stucco, and board-form concrete fit into the local landscape. A third-floor media center and rooftop terrace provides neighborhood meeting space and spectacular views of the bay. At the lower level, a large multipurpose room opens directly to a generous south-facing terrace for outdoor teaching or weekend community events. * Donn Logan at ELS / Elbasani & Logan Architects |© 2017 by MARCY WONG DONN LOGAN ARCHITECTS. All Rights Reserved.